The latest episode of DC Kids is here! Today’s episode follows Jett and Analei as they visit Six Flags Magic Mountain to check out the new Justice League: Battle for Metropolis Ride. The interactive 3-D Justice League-inspired ride lets fans immerse themselves in the DC Universe as they battle against some of the toughest villains. 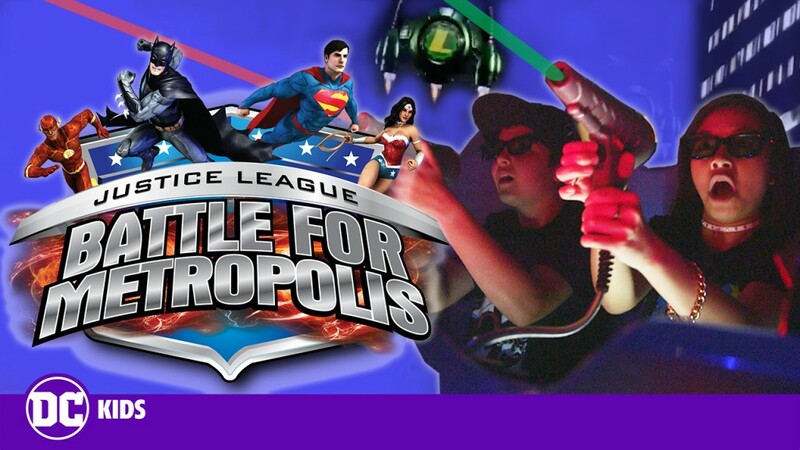 In order to help out the Justice League, players ride along in vehicles armed with laser guns to take part in the shoot-’em-up video game to save Metropolis! The full episode can be seen below.